Do All's Video DJ set-up. Reception at Flanders Valley Farm in Flanders NJ. Spinning Music Videos all night. Every Saturday Night Starting 9:30PM. Rockin' Tir na Nog at Madison Square Garden NYC! EDM "All Night" NEW YORK CITY and loving it! See DJ Jess in "Meet The DJs/VJs"
Tir na Nog Times Square NYC! 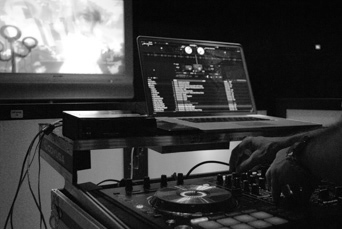 Planning a party or wedding, but not sure what DJ service you should use? Established in 1981 and servicing the tri-state area. DO ALL MULTI-MEDIA PRODUCTIONS is one the original Disc Jockey services that started it all! We have performed at thousands of sucessfull events and we are very proud to say that 99 percent of our business is generated through referrals. All our professional DJ's have at least five years experience. We also offer bi-lingual DJ's, Female DJ's, Video DJ's and Karaoke. Our comprehensive music & music video library is unlimited! Booking entertainment for your event is the most important decision you will have to make. Do All Multi-Media offers professional DJs/VJs services at reasonable rates, for any budget without jeopardizing the quality. 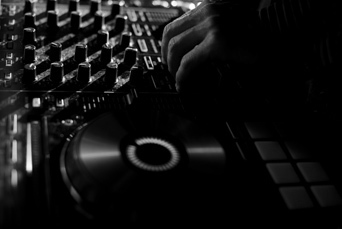 It is so important that you a hire a professional DJ that will be accomendating to all your needs and that's what DO ALL have been doing for decades! WHY CHOOSE DO ALL MULTI-MEDIA? We will take the time and discuss all your event needs and we are easy to work with..
We play non-stop for the duration of the event. Low background is performed during your meals. We are recommended by the finest caterers and night clubs in the tri-state area and of course by you! Since 1981, Do All Multi-Media has the experience and talent to make your event memorable. All of our entertainers carry a large selection of music & music videos ranging from "yester-year to todays" top hits. The music (Of Course) is customized to your event. We are fully insured to meet the requirements of all catering facilities. We meet the requirements of (A.S.C.A.P., B.M. I. & S.E.S.A.C.). If you're looking for special Lighting Effects, Party Favors or VideoDJ packages, we offer customized party packages that will meet every budget! Your satisfaction is important to us. Since most of our business is generated through referrals, our best advertisement is a room full of satisfied party guests! So, if you're planning that party or wedding, this is the web-site to check out. Just go to the "Request Information Tab" under Contact Us, fill out the form and your done! or call our party/wedding consultants now at 973-252-9966. See Video DJ Jess or Mary at the Grasshopper Off The Green, Morristown NJ. Spinnin' Classic Music Videos In the main bar. Professional & Business Social Network (PBSN) Presents VJ Pete Manfredo (VJ Style) Wednesday Classic Music Video Dance Party & Social (70s ~ 80s ~ 90s) 7:00pm - 10:00pm. See VJ Mary at the Grasshopper Off The Green, Morristown NJ. Spinnin' Music Videos and Enjoy Bar Pong Tournament in The Upstairs Room. See DJ Chelli Spinning Classic Music Videos at the Tir na Nog in New York City Times Square. See VJ Jess Spinning Classic Music Videos. Video DJ Party at the Grasshopper Off The Green, Morristown NJ. Three Levels Of Fun!